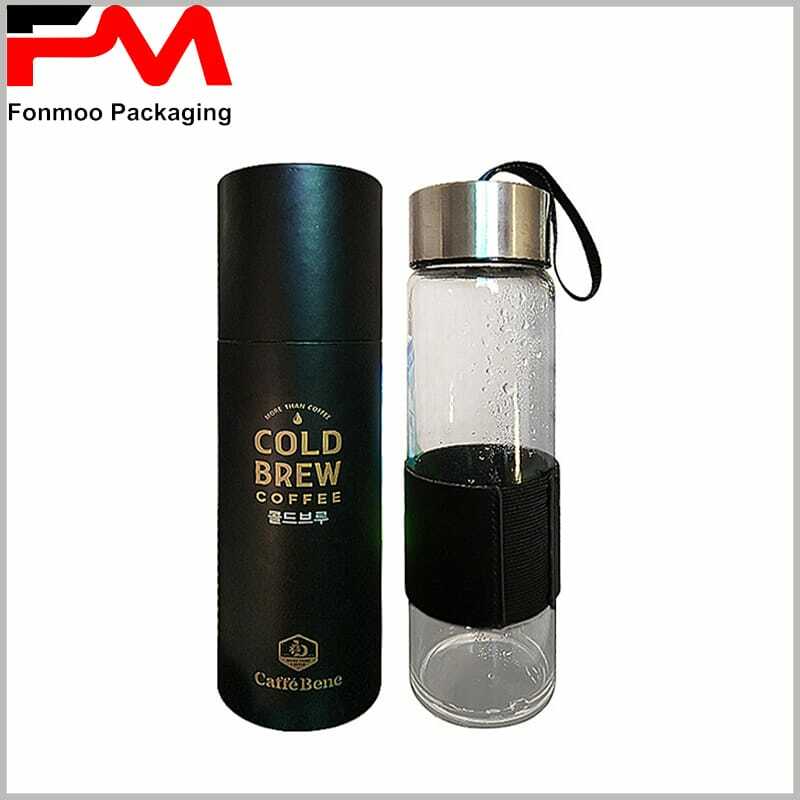 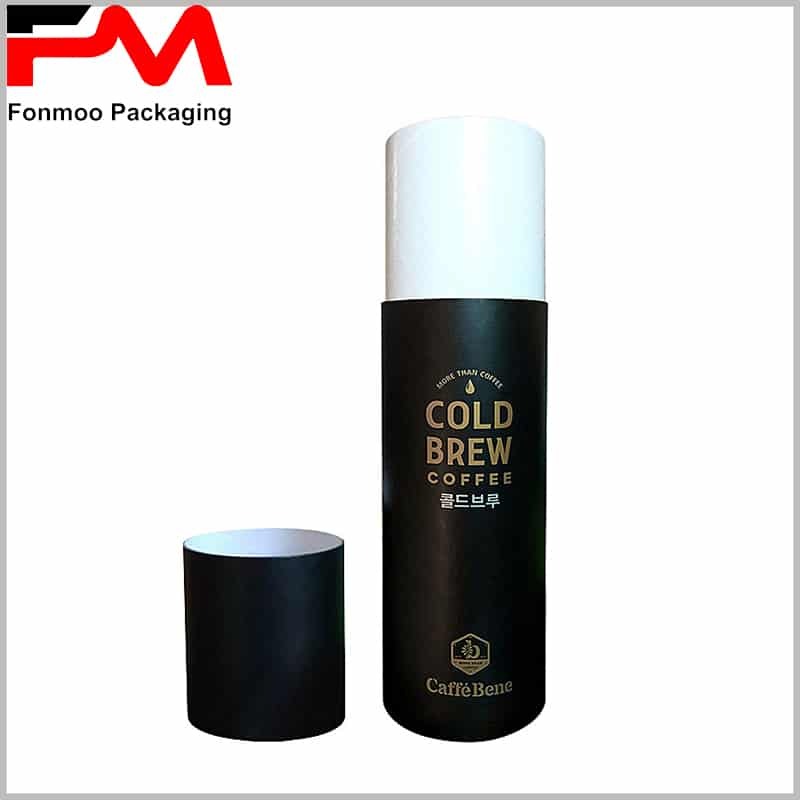 It is not common but sometimes people use tube packaging boxes for their bottle products and this black cardboard cup packaging tube box is a model that can be at the same time attractive and protective. Its material is worth giving attention to, 400g double white cardboard with 128 double chrome paper on the surface, got through a massive UV printing with varnishing process to get the surface shine and polished. 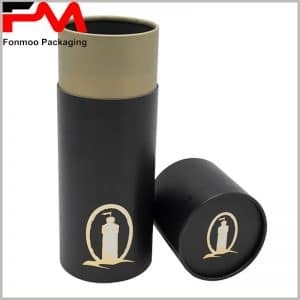 There can be a lot more options if you need, to make this tube packaging box more attractive and give customers an impression of high-end products inside. 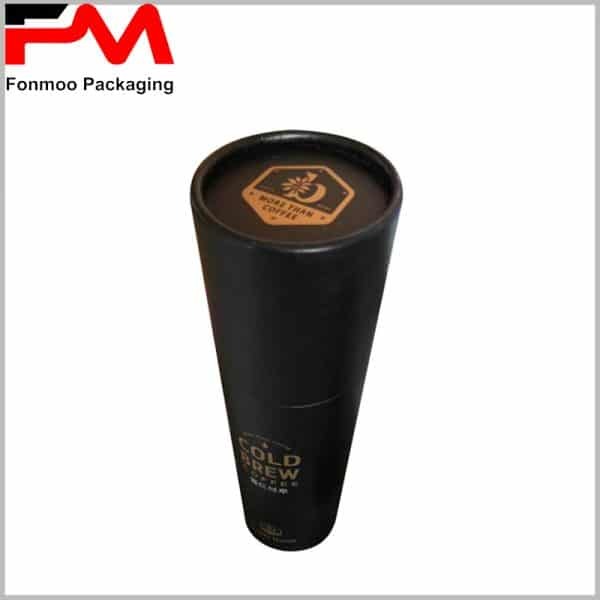 If you need, all aspects can be customized – just tell us your needs and let our team find out the most suitable solution for you and get you the best tube packaging box for bottle you need. 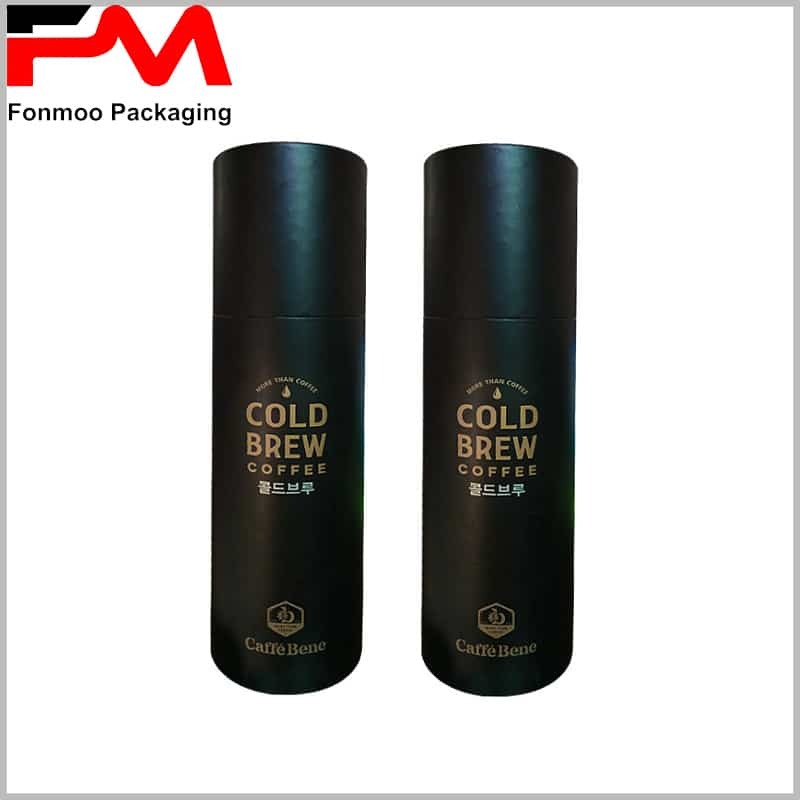 Black cardboard tubes bottle packaging box for bottle products, attractive and protective. 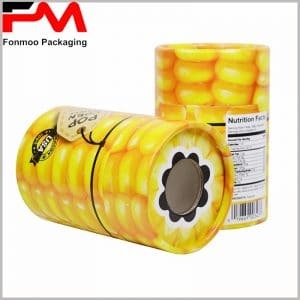 400g double white cardboard with 128 double chrome paper on the surface, got through a massive UV printing with varnishing process to get the surface shine and polished. All aspects can be customized.